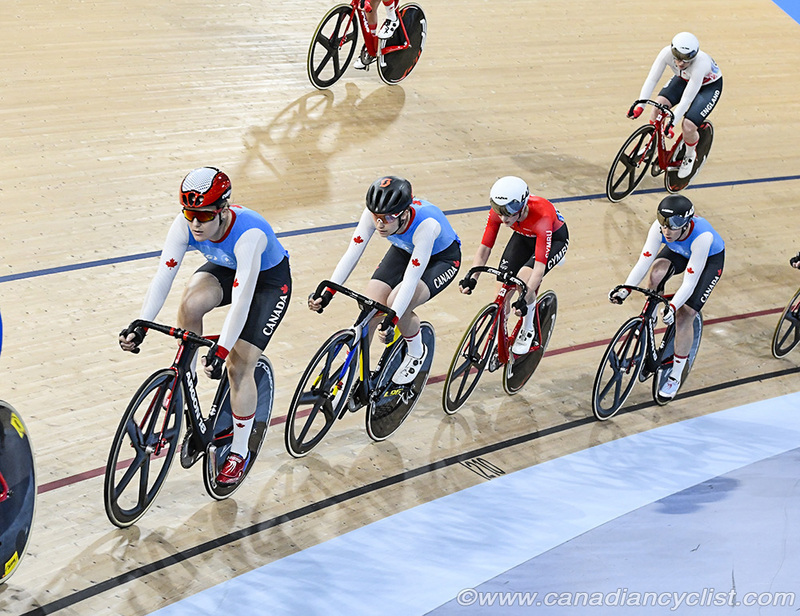 On the last night of the track competition, we interviewed a number of athletes and Team Manager Kris Westwood, however, as usually happens at Games we were getting behind further each night Now, with a non-competition day, we are trying to get caught up. So, here are comments from the final night on the track. "It's been a long season, and we peaked for Worlds, so unfortunately we came here not feeling as physically prepped as we would have liked. I knew I didn't have too many bullets to spend in the race, and I couldn't quite get around the other sprinters at the end of the race, but definitely a better outing than some other days." "It was a very tough go, both personally and as a team. We weren't quite where we wanted to be, but we made the most of what we had and some people stepped up to the occasion and rode really well." "It's called the Friendly Games, and it's a lot of fun out there. Not physically being where you want to be is a hard go, but it's a super nice track, super fast, and I think the calibre of racing is pretty challenging. It was great racing and a lot of fun." "I found out ten minutes before the Final that I was back in the race," said Walsh. "I had gone to the athlete lounge to cool down a bit, and Franck [Durivaux, head coach] came running in. I had known that I would be racing the B Final [7-12], but after watching the video, Franck said 'she needs to be relegated', and he confirmed it with the Commissaires." "It was a bit of a rollercoaster this week after getting disqualified in Team Sprint [after qualifying for the bronze medal final]. I've been struggling with the Sprint, even though [qualifying] was a personal best. Last night [Saturday, Day 3], I was not happy with myself, so I had to go home and regroup. 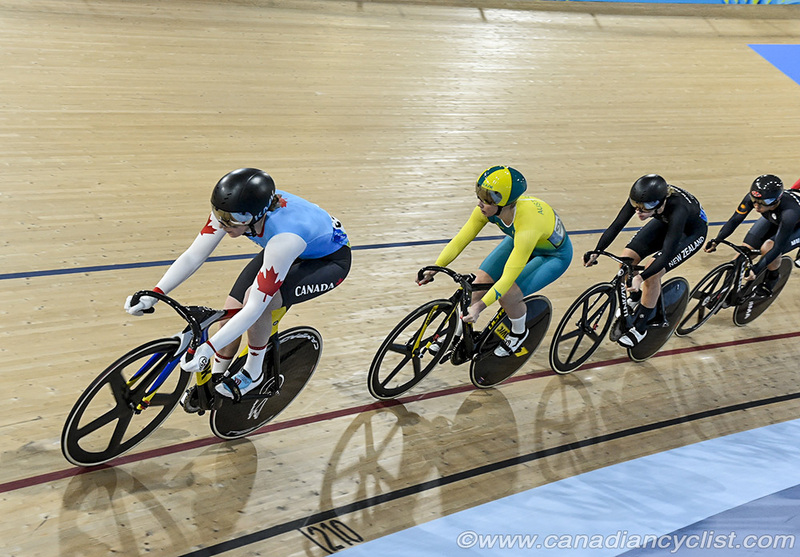 So I was really happy to make the Final today; I believe this is my first Keirin final at the international level." 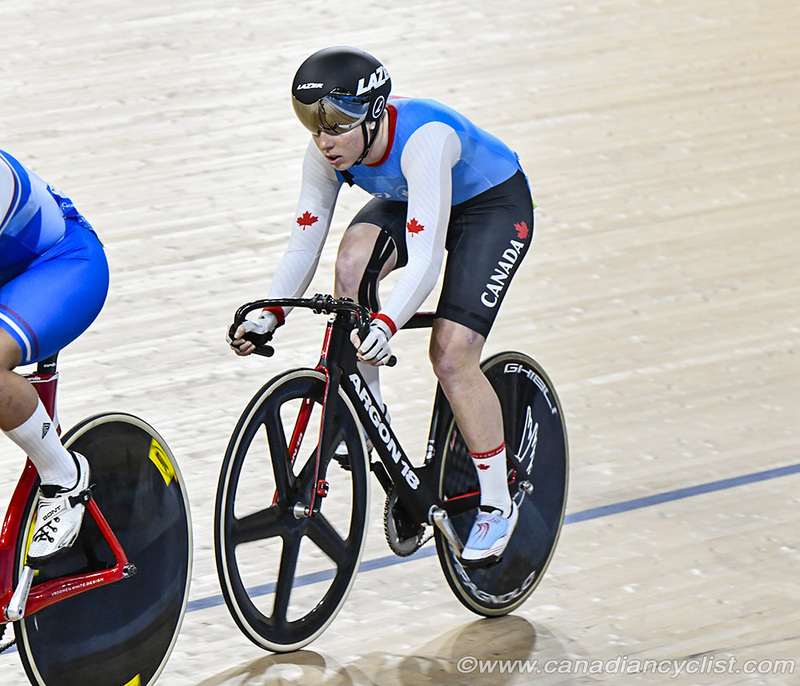 "It's always a pleasure to represent the maple leaf, and it didn't quite sink in until I walked in the velodrome the other day and the stands were full, and both Lauriane [Genest] and I looked at each other and went 'whoa, this is big'." It's the last race of my season, and it's been a very long and rather emotional season for myself [after team mate Kate O'Brien's serious crash], so it was great to finish with a decent result. Kate's crash was a very tough thing to go through, probably one of the hardest that I've been through. I really miss having her here. I know it was one of her goals; even after the crash, we talked about racing the Commonwealth's together. But I have no doubt that we will see her again on a bike." "Now with Lauriane, it would be great to have three riders; we are seeing a lot of the other teams, they are starting mix. One will ride the qualifier and one the final, so I think if we have three sprinters it will be fabulous for us, because we will be able to compete with the rest of the world." "The Kilo is one of my favourite events and I gave it everything. Unfortunately, I didn't go as fast as I would have liked to. We've changed the gear I ride since Apeldoorn [world championships], and it's faster off the start, but I think I pushed too hard in the second lap, and I definitely felt it in the back end; I really didn't have anything in the last lap. I really felt it, I hit the wall and had nothing left with one and a half laps to go." "This [the Games] was an incredibly special event to participate in; the fans are absolutely amazing, it's really cool to race with all that cheering, and it really pushes you." 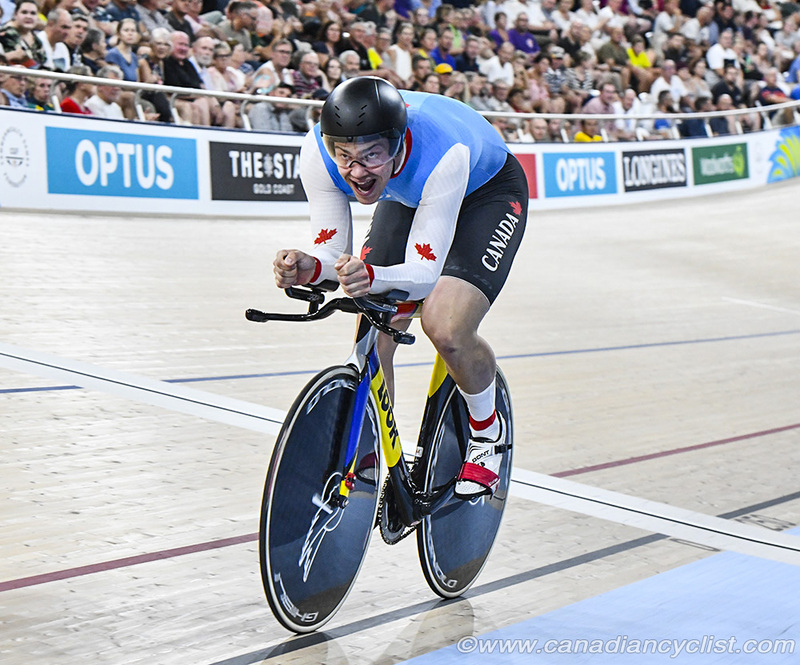 "The Team Sprint [4th] was really good, and a personal best for this team. It gives us a good platform to work off of on the road to the Pan Ams [Championships]. In the Keirin I was really happy with my first ride, but there were a couple of small things in the Semi; a small tactical mistake so I didn't make it to the Big Final. It's been a great learning experience, and I'll definitely keep them in mind for when I race next." Stefan goes in for surgery on the broken collarbone he has been racing with. "I already have an appointment booked with the surgeon for when I get home, so we'll get that done as soon as possible, so I can be back training." "I knew it was going to be a really tough field, and I just wanted to conserve things for the first half of the race. It was one of the longer Points Race that I have ever done, so I knew it was more of a race of attrition. So, I wanted to bank on having some energy mid-way. I covered a couple of moves midrace and tried a couple of things later one, but nothing really stuck. But I gave it my all, so I'm pretty happy with just finishing." 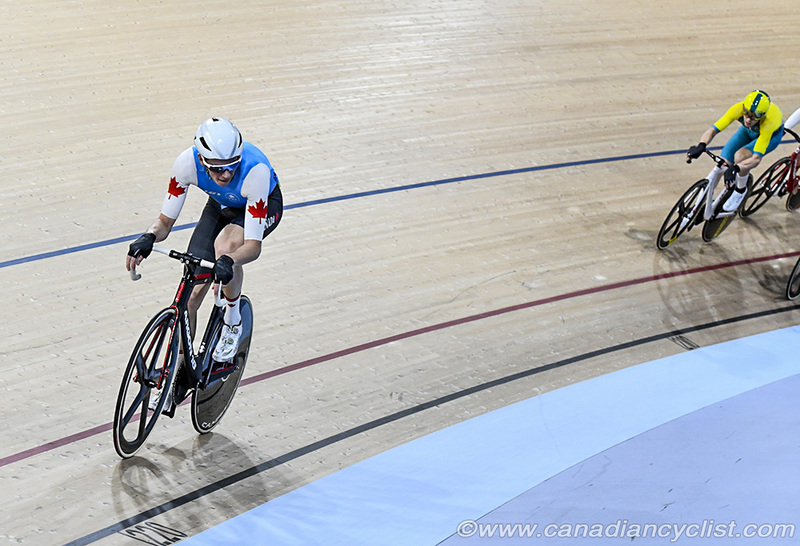 "Getting a bronze medal with the Team Pursuit already exceeded our expectations for the Games. The rest of it was just a learning experience for us. This is the only major Games experience that we get to have before Tokyo, so I think it is a really great learning opportunity."